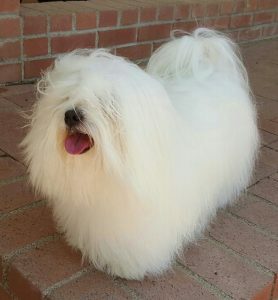 The breeder has categorized this particular puppy as one that can be entered in a show of confirmation and should be a good representative of the breed. This puppy or dog will be identified from the breeder/kennel it is from and representatives the breeders reputation. A reputable breeder will only want an excellent representation of their breeding program out in the show ring. Typically the term “show prospect” is for a young puppy. 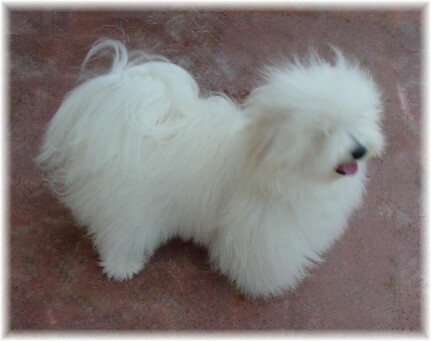 Breed Quality – Breed Prospect…The breeder has categorized this dog or puppy as one that could be breed and hopefully produce quality. There are beautiful quality dogs that may not do well in the show ring for many different reasons, however this dog may be ideal to an individuals breeding program and very often can produce beautiful dogs and future champions. Health testing at the required age is required. Show Quality – Show Prospect does not ensure Breed Quality – Breed Prospect… Showing in Confirmation can be a hobby, a sport, a weekend outing without the intent of having to breed. Breeding and the responsibility of puppies is a lot of work and not for everyone who chooses to become involved in Dog Shows.Health concern and health issues are of great importance in any breeding dog. Most Breeder contracts state what is necessary for breeding privileges. Pet Quality-Companion… The breeder identifies the dog or puppy as one that will only be for a pet or companion. Dedicated breeders with very good lineage most likely will have a high percentage of show – breed quality puppies, however will likely place the majority of puppies as pet quality. They have been involved in breeding for many years and are very selective about placing a show-breeder quality/prospect with anyone. Sometimes a puppy has a fault according to the standard…and other times it is timing. Very often one can tell no difference in two puppies, yet the breeder has classified one as a pet and one as a keeper or show quality /breeder quality.